Music is definitely more immersive when it's accompanied by a bit of visual stimuli, which is why CyanogenMod and other custom ROMs have started integrating music visualizers into elements of the Android system UI. It's a great effect, but it's not necessarily something that's worth replacing your stock firmware over. 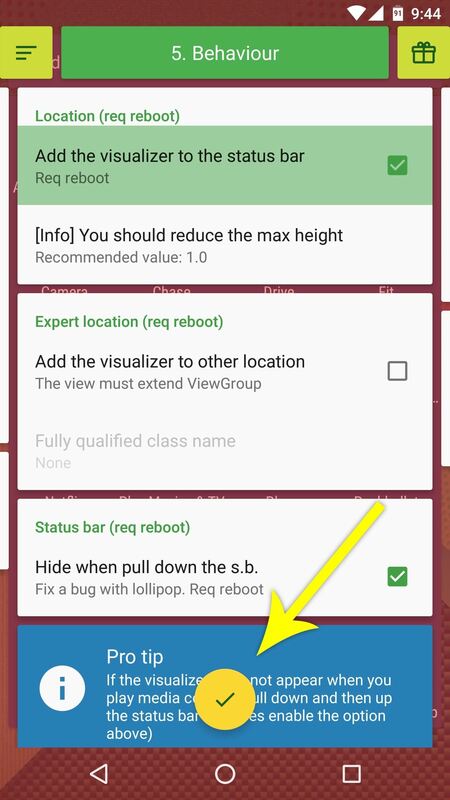 Luckily, a new Xposed module can add this feature to your existing ROM in a few simple steps. We've covered it before, back when it could only apply the visualizer to the on-screen navigation keys on some devices, but a recent update will now let you add CM13's music visualizer to the status bar at the top of your screen. Like I said, this is one we've covered before, and the bulk of the setup process has remained unchanged. So rather than covering all of the minor details again, I'll simply show you how to enable the new status bar music visualizer feature here. This video will show you the initial set up—see below to set up the *status bar* visualizer. To try out the new feature, simply open the NavBar music visualizer app, then swipe over to the fifth tab, which is labeled "5. Behaviour." 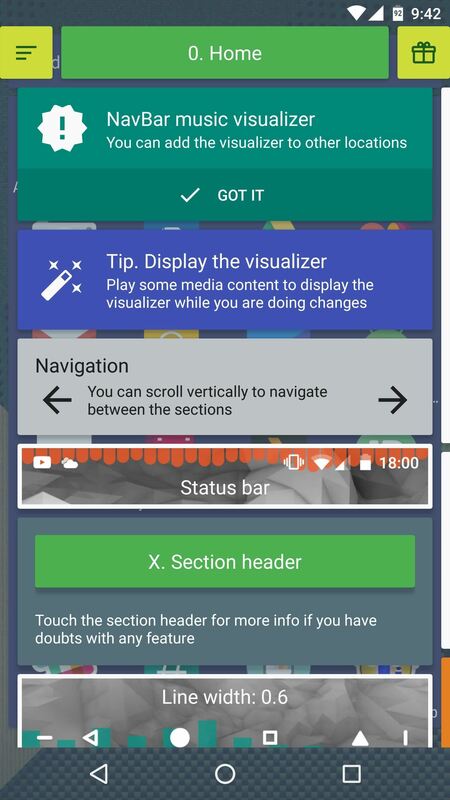 From here, tick the box next to "Add the visualizer to the status bar," then tap the check mark at the bottom of the screen. At this point, simply reboot your device so the changes will take effect. When you get back up, start playing some music, and you'll see the visualizer dancing to the beat at the top of your screen.